This narrative is a disturbing, nightmarish tale of a woman named Lydia and her journey through a busy subway station as her reality quickly begin to change. Something menacing awaits down there, a monstrous and punishing supernatural force that comes to life. Be warned-this story is not for the faint of heart. In this ghostly tale, a boy moves to a new house with his mother and sister following the death of his father. The boy encounters a small girl in the playground up the street, and then the spine-tingling terror begins. 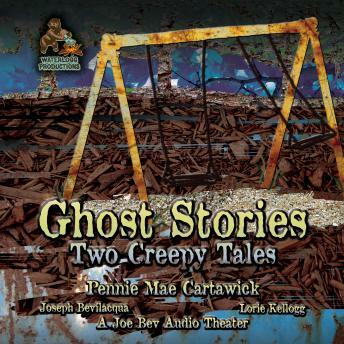 In addition to these and other creepy tales by Pennie Mae Cartawick, this enhanced audiobook features a complete musical score and extensive sound effects by veteran award-winning audio drama producer Joe Bevilacqua.